Jing’an is a leader in transforming how urban areas function. 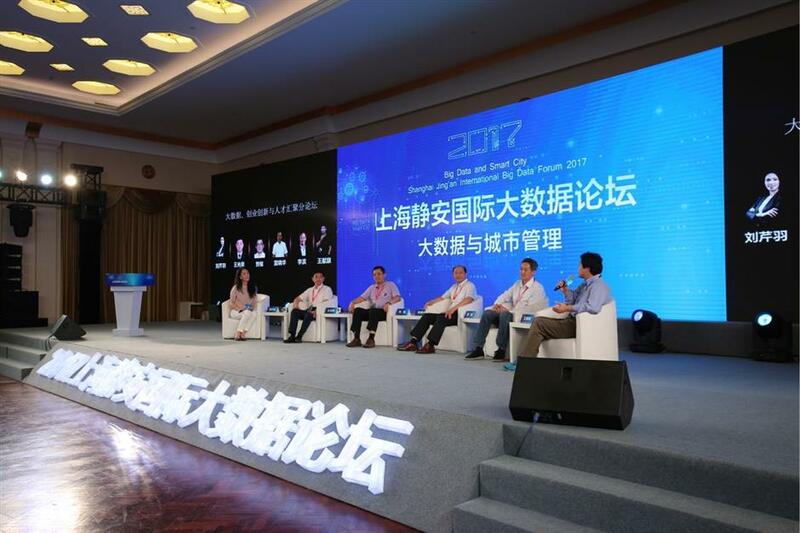 Government and industry officials meet to discuss “smart cities” at the Shanghai Jing’an International Big Data Forum 2017. SHANGHAI ranks among the leading urban areas of the world in pioneering the concept of “smart cities.” It’s a term that sounds futuristic, but few residents understand what impact it may have on their lives and the lives of coming generations. In smart cities, technology, data collection, infrastructure and services are connected in what is commonly called the Internet of Things. That means the digital age will play a role in how home appliances operate, in how traffic flow is directed, in how children are educated, in how we shop, in how fields are sown and in how goods are marketed. Everything about our lives will be connected for optimum efficiency and convenience. Smart cities need smart brains, and Jing’an easily qualifies as the pre-eminent “gray matter” for Shanghai’s ambitions. The district is home to the Shanghai Data Exchange, China’s leading big data center. It can handle an average 30 million pieces of data every day. Last month, Jing’an was designated as an “experimental district” to spearhead Shanghai’s smart city comprehensive plan. Tang, the man behind the blueprint, said the city government has outlined a four-tier approach to becoming a smart city. A sensor network of data collection is at the base, he said. Take fire as one example. Today, if smoke appears in a room, residents are alerted, but by the time firefighters arrive, the smoke may have erupted into a fire. He cites another example. A bridge, he said, could be placed under sensor monitoring that will tell authorities every time an overloaded vehicle passes. That way, the risk of bridge collapses can be avoided. According to Tang, China leads the world in terms of network speeds and capacity. Currently, China is testing 5G networks, which are up to 50 times faster than the fourth generation. The trials are centered in five major cities, including Shanghai. Large-scale trials will start from 2018. Chinese is expected to commercially implement 5G services in 2020, and 5G connections are forecast to reach 428 million users by 2025, accounting for 39 percent of the world’s total connections, according to a report by the industry’s GSM Association. That will make China the world’s biggest 5G network. Shanghai Party Secretary Han Zheng once said, “Big data are valuable only after being processed.” That’s true, said Tang. The third tier of the city’s plan addresses big data processing, followed by the fourth tier: applying artificial intelligence to how the city operates. Visitors are attracted by a map showing the fine details of any city location. 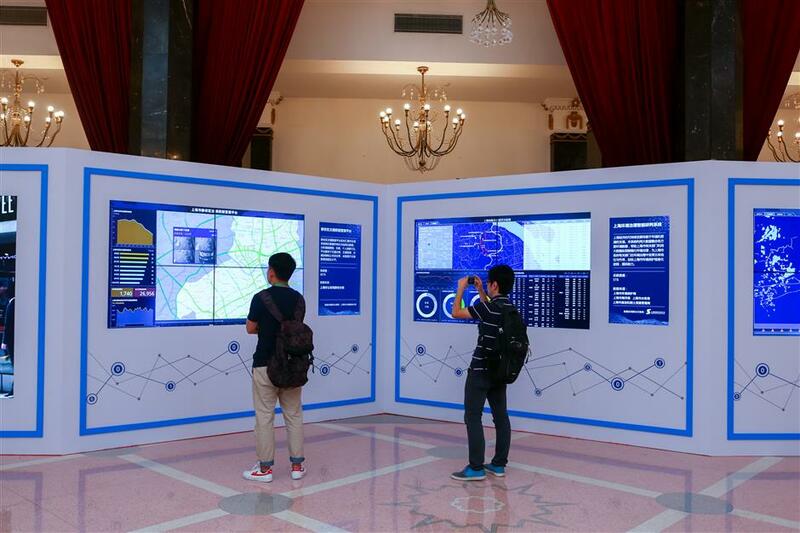 It’s part of displays at a city event on big data and smart cities. Data collected from dust sensors on work sites across the city have helped pinpoint poor construction practices. In Jing’an, the incidence of dust-choked sites was better than in other areas of the city. Why? Indeed, meteorological data confirmed that finding. On rainy days, the dust problem was lessened. So, what does the Internet of Things and smarter government management mean for urban dwellers? Well, for starters, they will affect six areas: community life, digital services, transportation systems, health care, environmental issues, and drug and food safety. The city has already done an exemplary job of applying big data to transportation systems. Passengers can now check bus schedules on an app instead of waiting under scorching sun or driving rain for a bus to arrive, and GPS can guide drivers to the available parking spots and tell them what parking fees they will have to pay. “We developed different statistical models, each being able to recognize offenses like driving in the wrong direction, parking illegally or making phone calls while at the wheel,” Tang said. The district also has installed smart cameras using the models at main intersections. Any infringement of traffic laws triggers a camera that takes photos and a short video to capture the misdemeanor. The technology will be applied at 50 intersections by the end of this year, said Li Jian, senior traffic official of the district. Jing’an traffic officials are also working with Amap, China’s largest map service provider, to produce real-time data analysis of traffic flows in order to spot gridlock and suggest alternative routes for motorists. To make big data programs successful requires the cooperation of all municipal departments. That hasn’t always been forthcoming. “Some government departments don’t want to share their data because data are not only valuable resources but also represent great power,” said He Baohong, an expert from the China Academy of Information and Communications Technology. For example, to study the causes and solutions for water pollution, the city’s Environmental Bureau needs access to statistics on river quality compiled by water authorities and to data stored by meteorologists about weather conditions. What is still lacking in the big data realm, some experts note, is a system of safeguards for personal privacy. For example, he pointed out, regulations to protect consumer privacy state that information on customers can’t be shared. Tang’s team is calling for comprehensive regulations, perhaps started first at the city level and then adopted eventually on a national level. As part of that effort, his team is collecting, studying and translating every related rules adopted in Europe and the US since 1990.